This shrub has special memories for me as it was payment for some piano lessons I gave a friend. 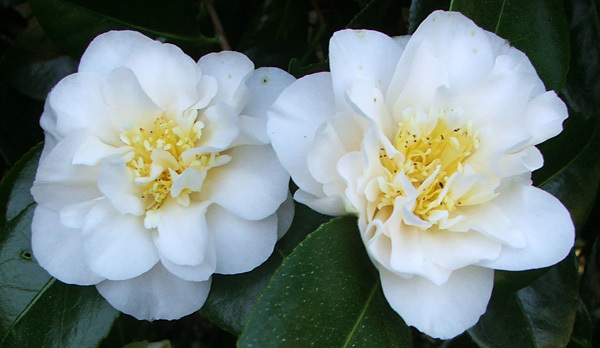 We have since lost touch, but her Camellia is still here in the garden - reminding me of the fun we both had with a book of Beethoven sonatas! 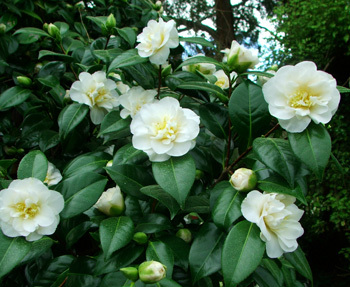 In September (early Spring) the white Camellia is absolutely smothered in buds and emerging white flowers with yellow centres. I've planted it by the dark stained wall of the Sleep-Out, and try to be extremely disciplined in picking off any spent flowers. They make a picturesque mulch for the garden beneath. There are groups of hostas underneath, and I have also planted several clumps of the evergreen Japanese grass-like Acorus at its base. 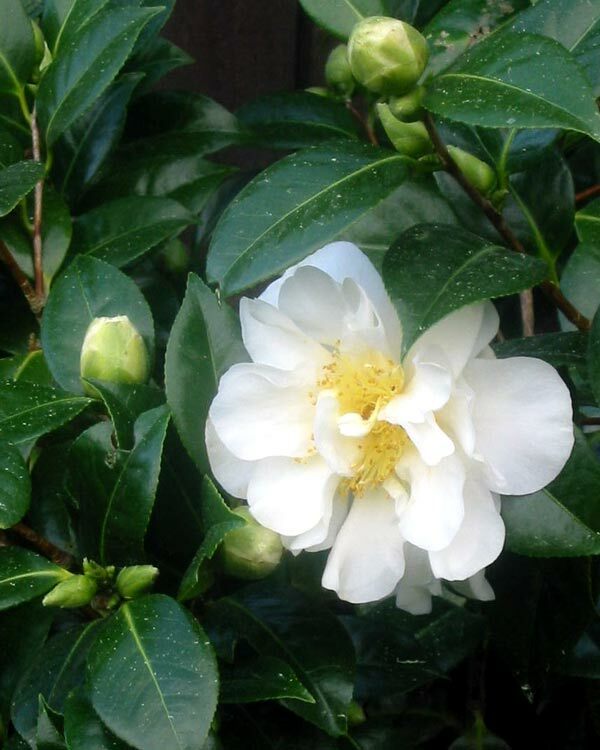 These foliage plants keep the small garden looking good when the Camellia is done. This Camellia (unlike others in less favourable positions in my garden) hasn't taken long to grow into a good sized shrub. It's nicely symbolic that it has been at Mooseys exactly as long as I have. Accordingly, I really should know what it's called... Oops!